This week, I got my Sawzall and angle grinder, so I have been tearing up the pallets needed to construct the new quail and guinea pig cages! YAY! I also have to till up some land at the Durham Hub Farm for my Citizen Science Grant, and wait on my sweet sorghum seeds to get here in the mail. I also have to get in my girl scout program days into the calendar for the next year (yikes!!!). Well, Saturday was a really rough day for me. No only did I knock the lid into the eggs, I also had one of the chickens that was unable to stand Saturday night. It was one of the Cobb/Ross crosses. It was up walking around all week, but apparently, it wasn’t eating and drinking very much (even though it had food and water available to it). I picked it up, and tried to get it to stand up, examining it for broken legs, or other anatomical irregularities. I found none. So I culled it at 3.65 lbs (I needed dog food anyways). It actually provided two full days of meals for my dogs (which is, of course, everything in the bird) so I got all but 0.15 lbs of usable material from the skin and feathers. The other four individuals are doing AMAZING! El Monstro is up to 7.81 lbs. This is a robust gain of 2.18 lbs. I have no idea how it continues to gain like this, without access to food. He will go sometime this week (when I clean my kitchen, frankly, so I can clean it correctly). 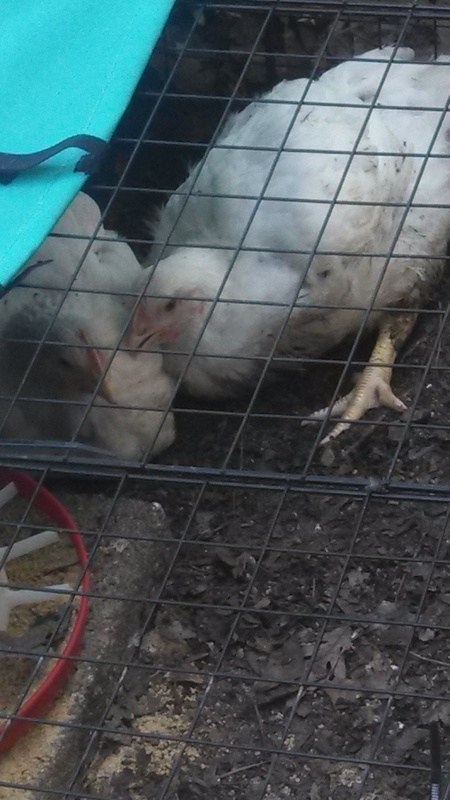 And my chickens were hunting insects and giving themselves dust baths! I catch the other three hunting for insects, ants, and flys, and giving themselves dust baths on a regular basis. They really like their outdoor living situation. They also gained 1.63 lbs on average, and are up to 5.25 lbs total. I am going to wait until next week before slaughtering them. The quail are laying between five and six eggs a day outside, and look so happy crowing and moving around their cages. The incubator and I are having issues. Our house apparently has awful air circulation issues. The heat and humidity in the back room was so high when the AC went off, that the temperature jumped from 100 to 106. 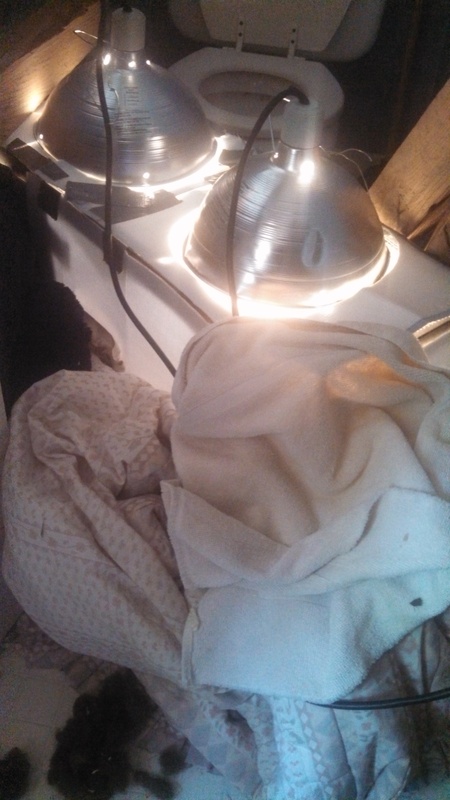 So, I removed the reflectors from around the outside, and elevated the 60 watt light-bulbs. Then, the AC kicked in, and humidity and temperature dropped. Trying to get a steady temperature is really difficult! Even though practice incubation went well. So, I replaced reflective surface around the entire aquarium, including the screen on top, and replaced the 60 watt light-bulbs with the 40 watt bulbs. Then, I wrapped blankets around the aquarium. If I can’t keep the temp steady that way, I will insulate the crap out of it, and keep my fingers crossed. Hopefully this will get rid of the huge fluctuation. I am pretty sure that these eggs are FRIED though, temperature fluctuations from 97-106, humidity in the acceptable range, but moving all over the spectrum. But, I am going to press on, expecting low hatch rates. Well, craigslist brought me three new guinea pigs and their cages, all male. This means that I have three total sections of females. Steve-O has been in with the first five girls for six weeks, covering two heat cycles. So, he was removed, and will be retired, along with Hurley, who is four years old. He is too small to keep in my breeding program. I also placed Page (who had a litter 3 months ago) in the green outdoor cage. Jack (pictures to follow) is in with the older girls, between 2-3 years. I doubt many of these are fertile, but I will try anyways. Cassius was moved from her cage with Brutus, to the cage with Silkie, the lovely black guinea pig (whom I will keep for a long time, as I like him and his size) who had four other guineas in with him. 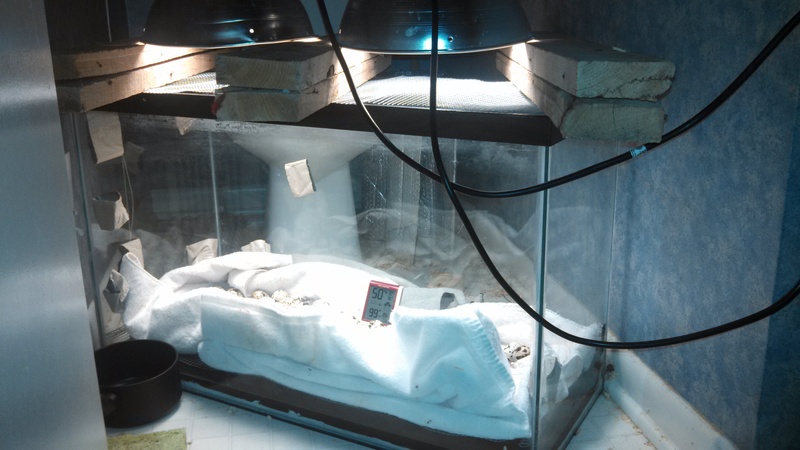 So, two males in with 10 females (different cages), and six females who have been bred. Each of these groups gets their own free range cage. There are two males hanging out in a cage, waiting for their chance to be bred.